The FCI World Dog Show was held in Finland once before, in 1998. That year's show was a great success and established a standard for the organising of the FCI World Dog Show for all other canine nations. About 16,000 dogs, a record number for the time, competed in the 1998 FCI World Dog Show. 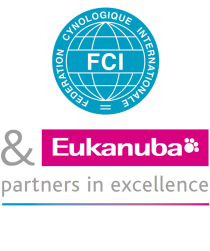 Each year, 69 canine nations compete for the privilege to organise the FCI World Dog Show. The Finnish Kennel Club counts among the world elite in the organising of dog shows. In total, 23,000 dogs were entered in last December's Koira 2013 event, which attracted some 50,000 visitors.